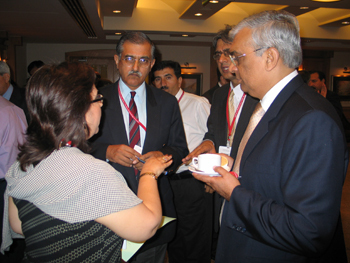 April 22, 2006 – Marriott Hotel, Islamabad. 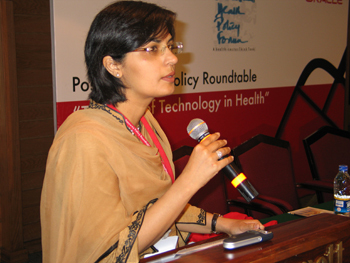 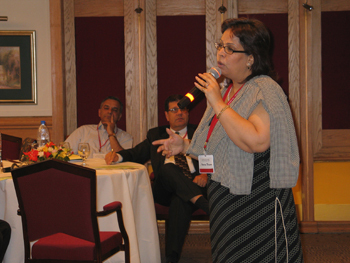 Pakistan’s Health Policy Forum identified health technology as one of the themes in its operational plan for 2006-07. 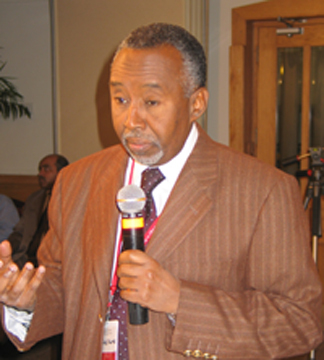 The development of a locally-suited, viable and appropriate health information system is imperative for facilitating the process of making the health policy relevant and health reform effective, equitable and responsive to the needs of the population. 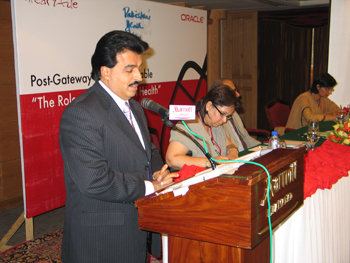 Such an effort makes it necessary to firstly generate information highlighting current health status and needs, and secondly, to foster teamwork between experts of health and information technology. 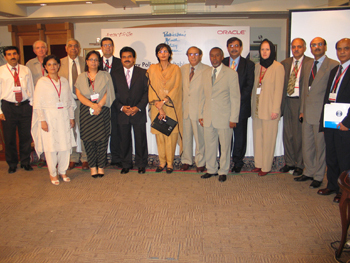 Against this backdrop, a consultative deliberation was organized with Oracle – technical experts in information technology – to progress towards the development of a health technology system for Pakistan.